Choosing furniture that you will use for the decor and functionality of a room can be a difficult and tiring task. The furniture that you choose must be both convenient and robust, suiting your style and personality. The furniture should also balance with the colours and tones used throughout the home. Getting the balance right can be a lengthy research process! But if you decide on what you want first, this can be a much better option. Furniture manufacturers, carpenters and craftsmen can easily produce a model that meets your exact needs. In fact, if you want to design your own furniture, you can find dozens of models for inspiration on our homify site. This is why today, we have put together an array of furniture that you can use for different rooms in your house. In fact, after exploring these photographs, you may decide you need one or more of these pieces for your own home! It is important that you make the most of your bedroom, using it to speak your personality. 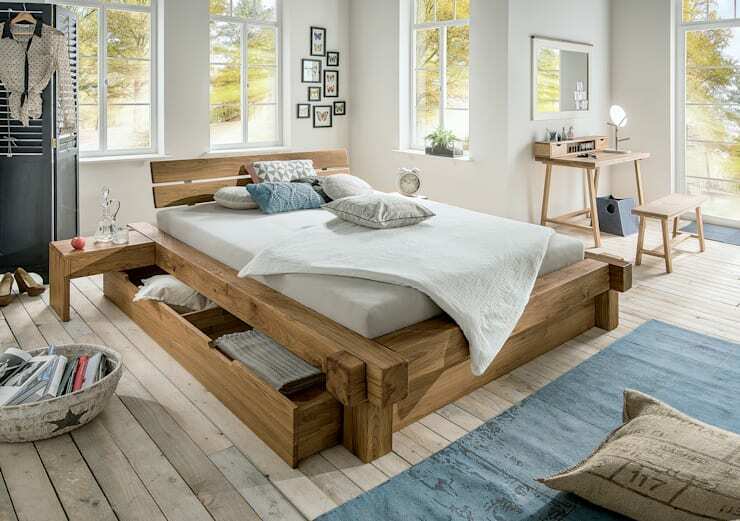 In this design, we come across a gorgeous solution where the base of the bed is made from warm and rustic wooden beams that feature drawers for storage. This is a very popular option that comes in all sorts of styles, shapes and sizes. Speak to a carpenter or design professional about this option. If you don't have a cabinet for a television unit, then you have to invest in one. It can become the most noticeable element of a living room, as you can see in this gorgeous living room. This unit becomes integrated into the wall decor in a very functional and stylish way. It features useful compartments, a solid material and light tones. It also works for most living areas! For almost every room in the house, you need a simple set of shelves that you can use as a solution to storage problems. Whether its in the living room, kitchen or bathroom, shelves can make the design of a space better. 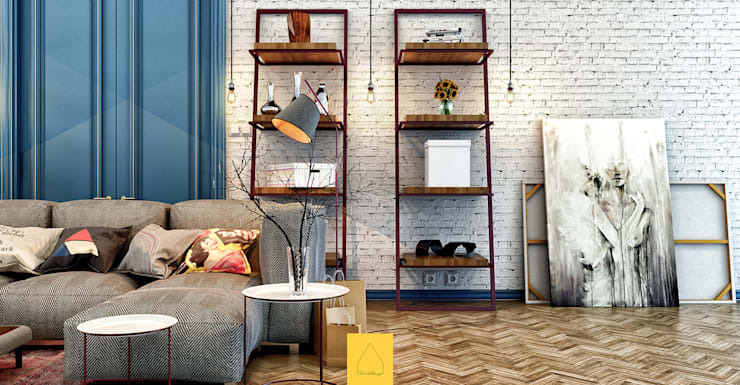 As we can see in this image, a set of shelves can be simple yet trendy. The iron structure and wooden elements make a gorgeous combination. This kind of shelving can also be the perfect DIY project! If your bedroom is not big enough or if you are having trouble finding storage space, you need to make the most of every square inch like these designers have done. 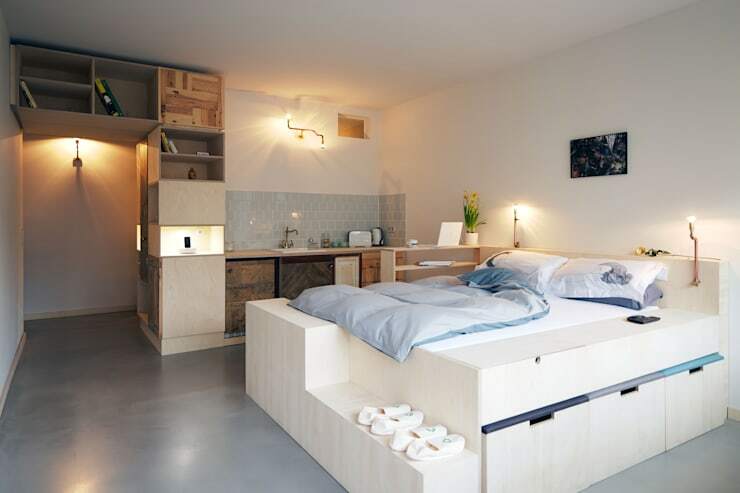 A sofa, drawers and storage units are integrated into the bed design and all slip neatly below it. Have a look at these 8 super smart bedroom storage ideas for inspiration for your own home. You can create a very stylish and functional form of wall decor by installing a bookshelf. Not only does it make for spectacular storage, but it allows for books, decor accessories and picture frames to be put on display. In fact, as we can see in this image, the bookcase holds books and a television, making for versatile and functional furniture. It's very easy to have this kind of design in your own home. Have a look at these things to consider when choosing shelves. 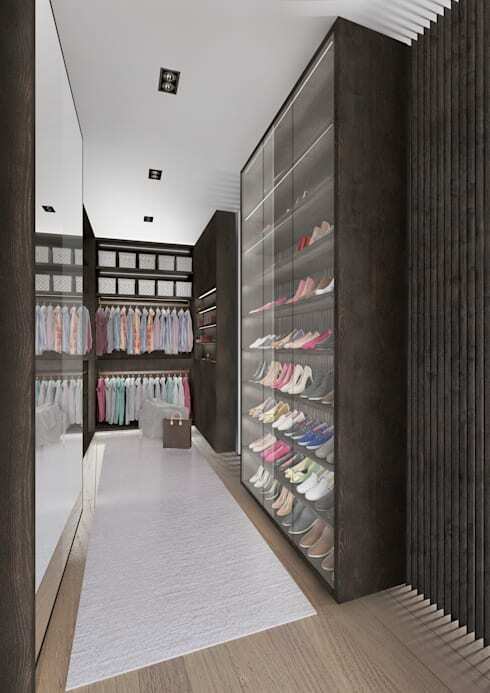 If you want to keep your bedroom neat and organized, why not opt for a handy dressing room design? As we can see in this modern and savvy design, the dressing room cabinets feature useful glass covers. Not only is this a great storage solution but the glass dividers allow you to see exactly where your clothes, shoes and accessories are. Yet, you'll never have to worry about dust gathering! As you know furniture made of pallets has become very popular in recent years. 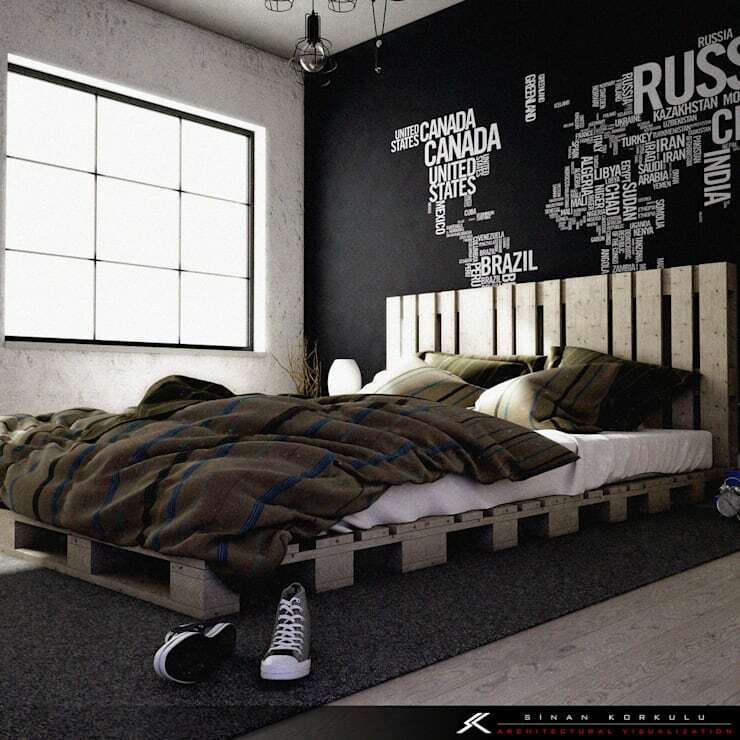 This is a great example of palette furniture, especially as it is the focal point of this gorgeous and edgy bedroom. This is a cheap and savvy design! 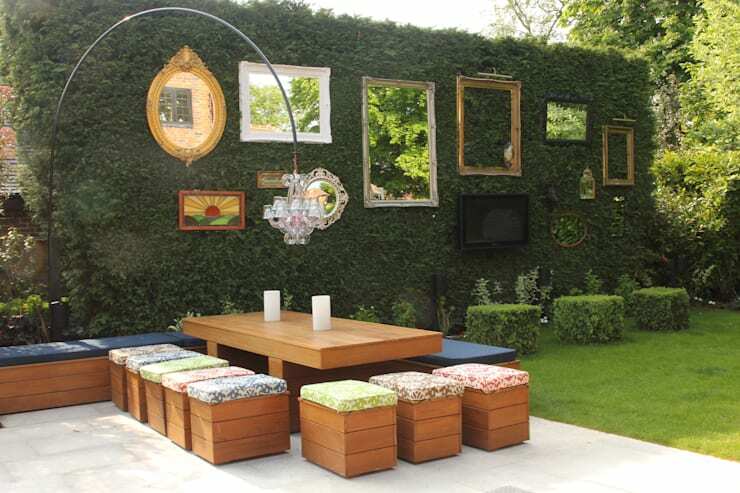 In addition to indoor furniture, you can also make your own garden furniture. This table and stool set, which is very simple, can be a useful solution for every garden. With a small, patterned cushion and some beautiful warm wooden blocks, you can end up with a gorgeous design. If you've enjoyed this article, you'll love this one: Cool furniture for almost nothing: using pallets. Which furniture is your favorite?